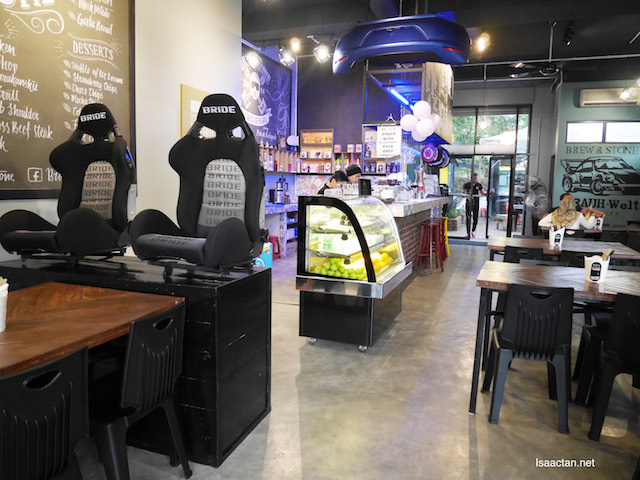 Brew & Stone, by Pokok Kelapak is this quaint looking cafe / restaurant located in Kota Damansara. 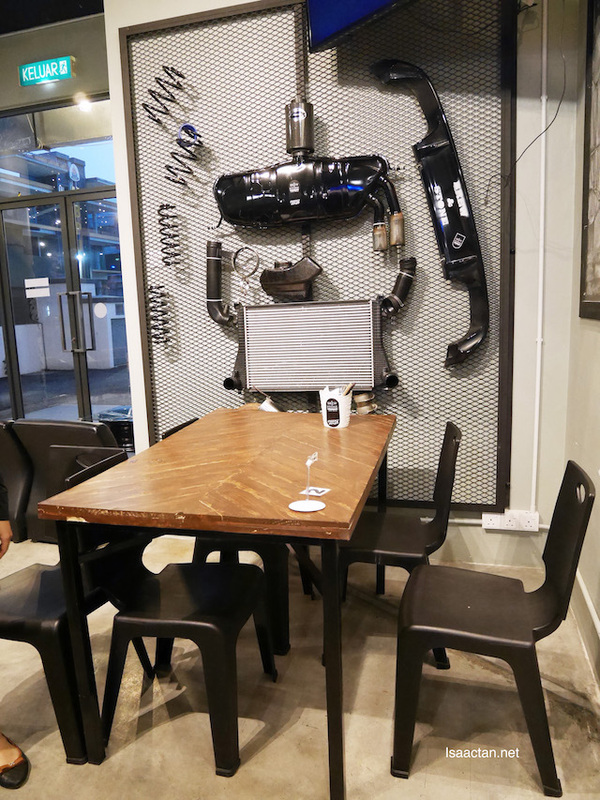 The theme of the cafe is cars and bikes, which is really interesting, serving some really nice coffee and western cuisine which includes grilled meat and more! I was there with a couple of friends the other day to savour their fares, so do check out below on what we had that evening. 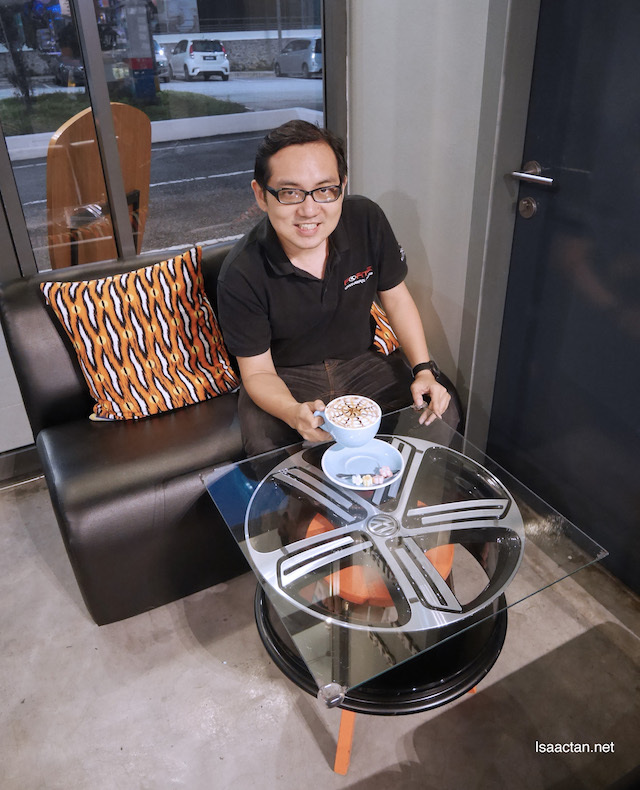 Brew & Stone started operations last year, in August 2016 to be exact catering for both individuals, groups and friends, giving a place to relax and chill out while having some nice western cuisine. It is really interesting to enter the cafe and see the decor. 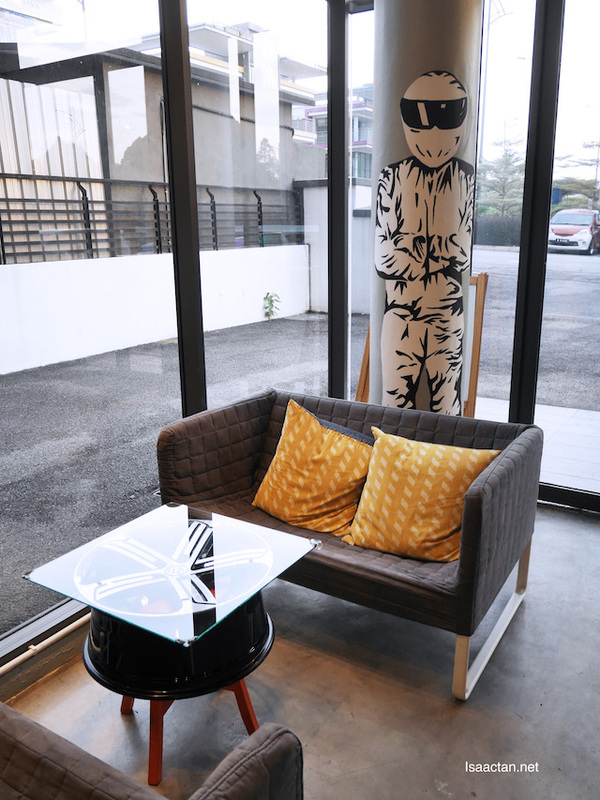 At one corner we had these interesting wall decorations made up from a car's performance parts, Bride racing seats, and even real car rim which doubles up as a coffee tables. Check out what's hanging on the walls! 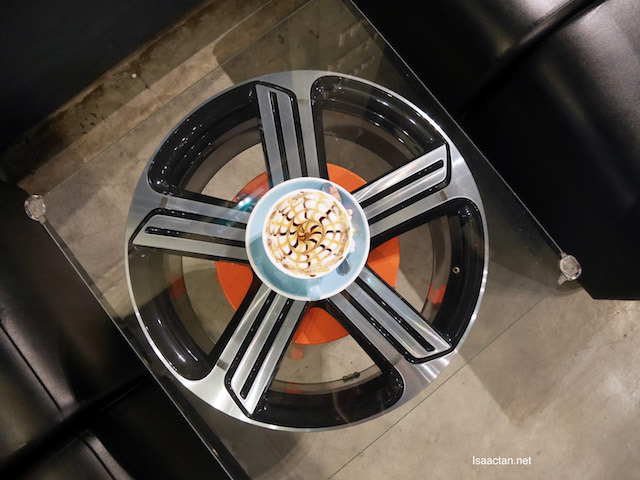 A real car rim which doubles up as a coffee table? Why not. 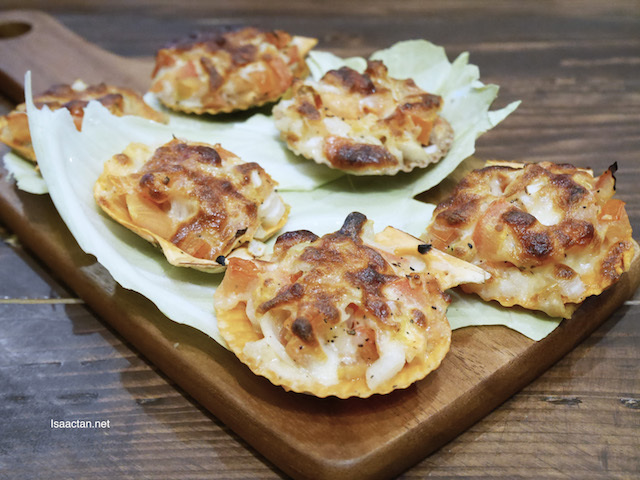 We kickstarted our meal at Brew & Stone with their starter, the delectable Scallop with Tomato Salsa which came served 6 pieces on a wooden platter. The scallops were done really well. 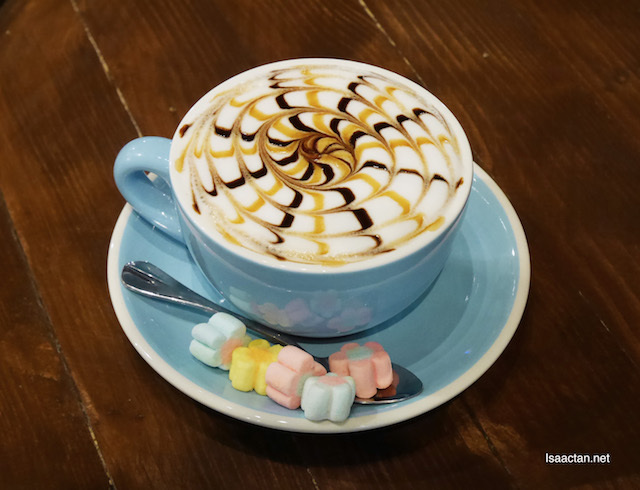 Of course, we did not hesitate to order their signature drinks, the Cafe Mocha which came served in this rather big cup, complete with marshmallows on the side. 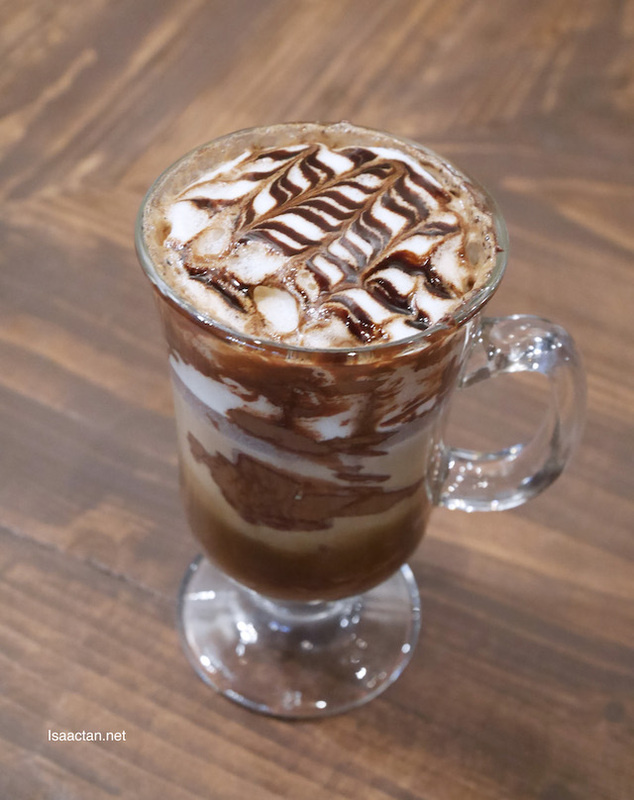 A good cup of coffee, or in this case, many cups of latte, coffee, and drinks make up a good cafe. 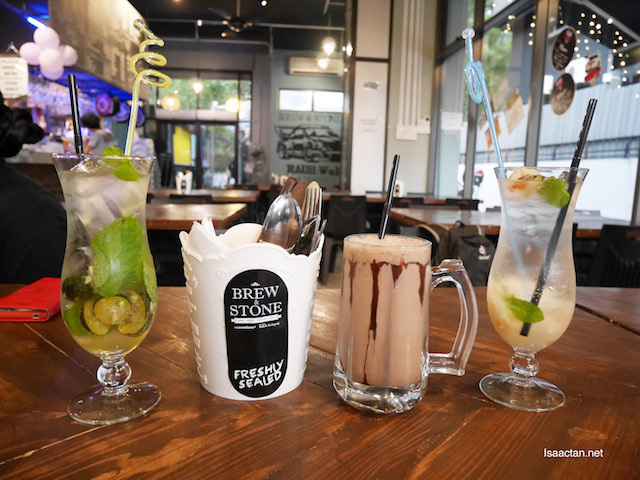 Brew & Stone serves a wide variety of drinks, from Lime Mojito, Mojito Lychee, Ice Hazelnut Latte, Cappucino, Iced Dark Mocha, and many more. 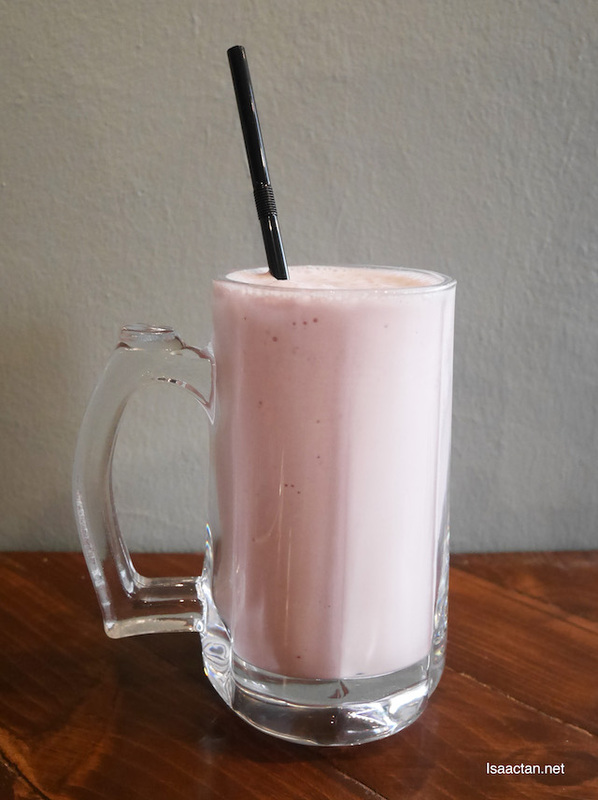 I ordered by favourite Strawberry Milkshake, which went really well with the other meaty dishes. 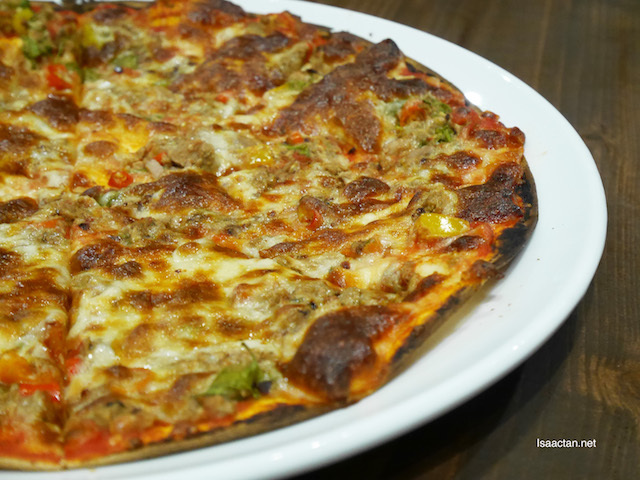 The Spicy Tuna Pizza is loaded with yummy ingredients, on a thin crust, just the way we like it. Beware though, as it may get a tad spicy. 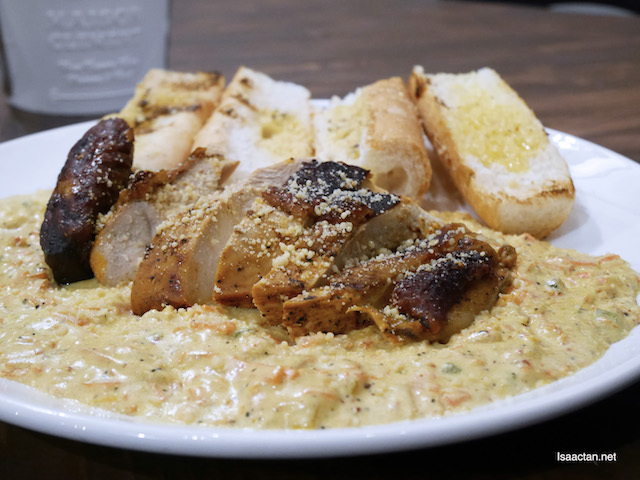 I'm taken in by the delicious Chicken Morakanskii, with a combination of roast chicken, bread and lots of cheese. The paste itself is pretty spicy, but I just could not get enough of it. We all loved it. 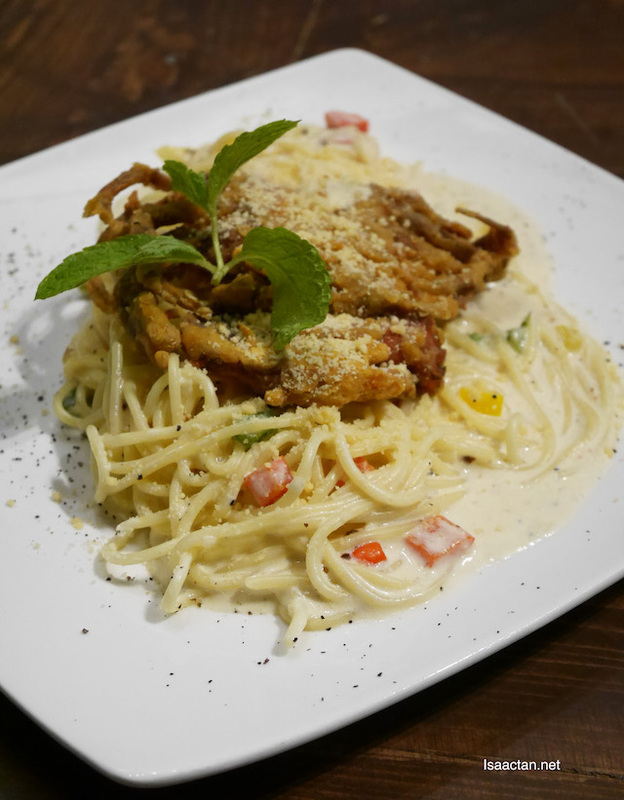 We had three different but almost similar pasta dishes, in the form of the luxurious looking Spicy Creamy Prawn Pasta, Spicy Creamy Soft Shell Crab Pasta to the Spicy Seafood Medley Olio. 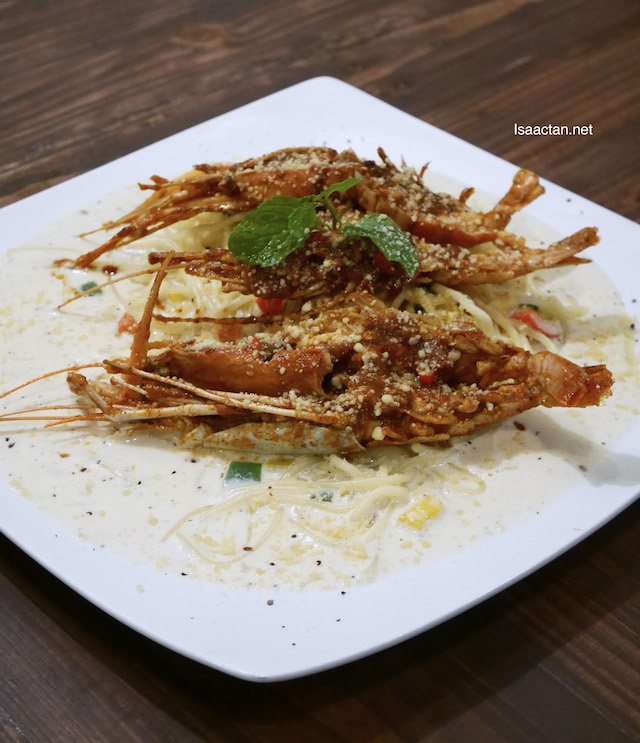 In general, each of the dish had loads of flavours in them, and very creamy. 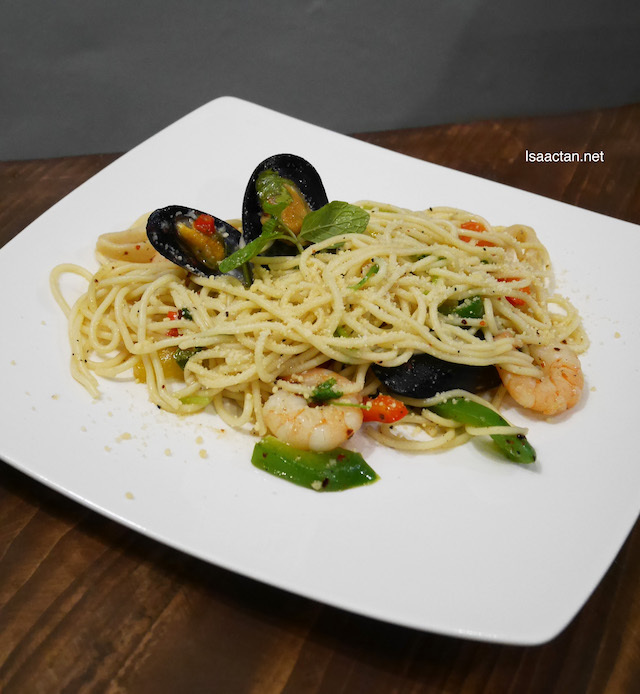 The olio is light and not overly oily, going well with the seafood ingredients thrown into the mix. Meat lovers rejoice! If you come in a group with friends and family, you must try our Brew & Stone's big and delicious Meat Platter which comes in two sizes, for four or 8 person to share. 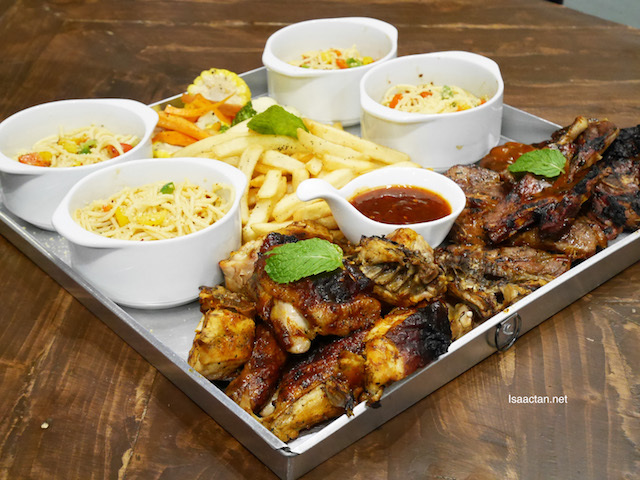 The platter itself comes with a combination of grilled chicken, Lamb Shoulder, French Fries, Spicy Aglio Olio, Garlic Butter Rice, and Mixed Vegetables. How's that for a feast? I personally love the way they prepared the lamb shoulder, with lots of flavours locked into the meat. Good stuff! 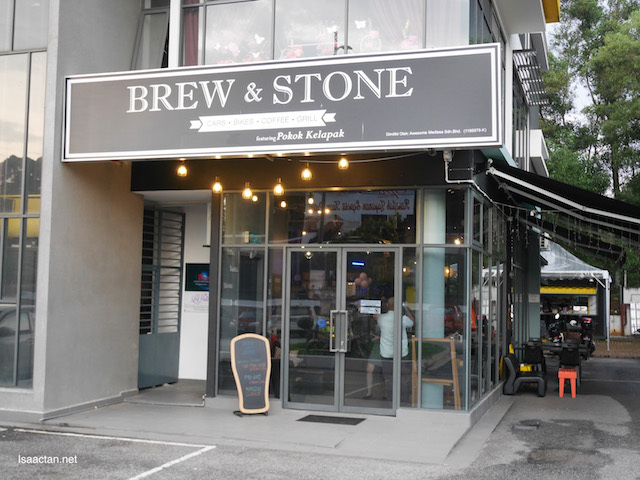 So the next time you're in the vicinity of Kota Damansara, and looking for a good meal out, don't forget to check out Brew & Stone. Do follow them on Instagram at instagram.com/brewnstone as well as their Facebook page at www.facebook.com/brewnstone for more information on what they have to offer. IT was a nice night out with fellow bloggers, here's looking forward to more noms! Interesting name. I'd like to try that Scallop with Tomato Salsa, looks good.